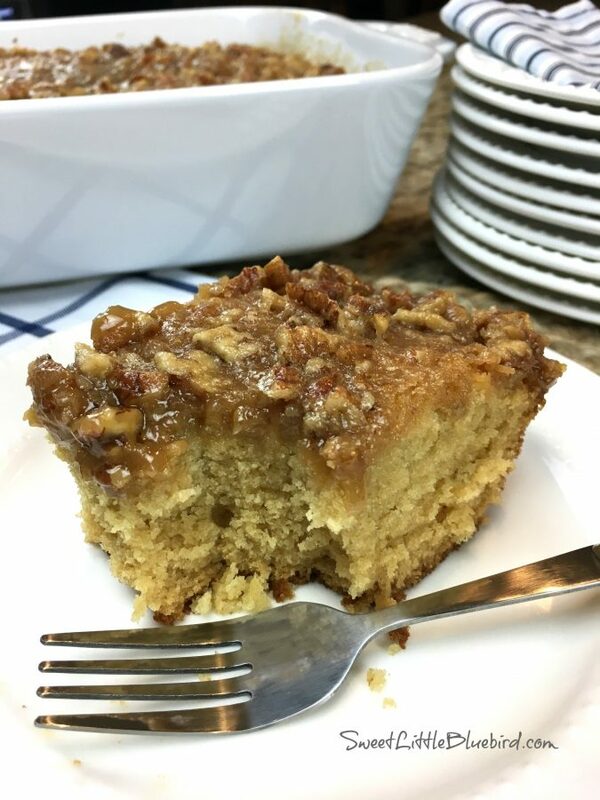 Today’s tried and true is a wonderful old fashioned buttermilk and brown sugar cake that is a cinch to make, a sweet treat for family and friends. 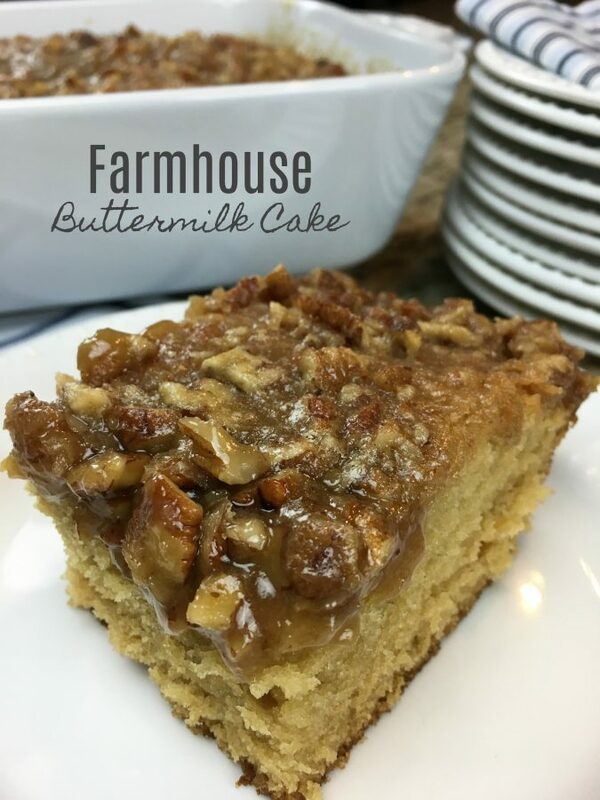 FARMHOUSE BUTTERMILK CAKE – A fantastic old fashioned cake recipe made with buttermilk and brown sugar, topped with a sweet and sticky pecan topping. This wonderful cake is not too sweet, it’s just right – super moist and delicious. This cake is perfect for holiday tables, parties, brunches and can be made year round. This weekend I had buttermilk I needed to use so I googled “buttermilk cake” and stumbled on to this winning recipe from King Arthur Flour. With over 100 reviews and 4 1/2 stars rating, I had to give it a try. 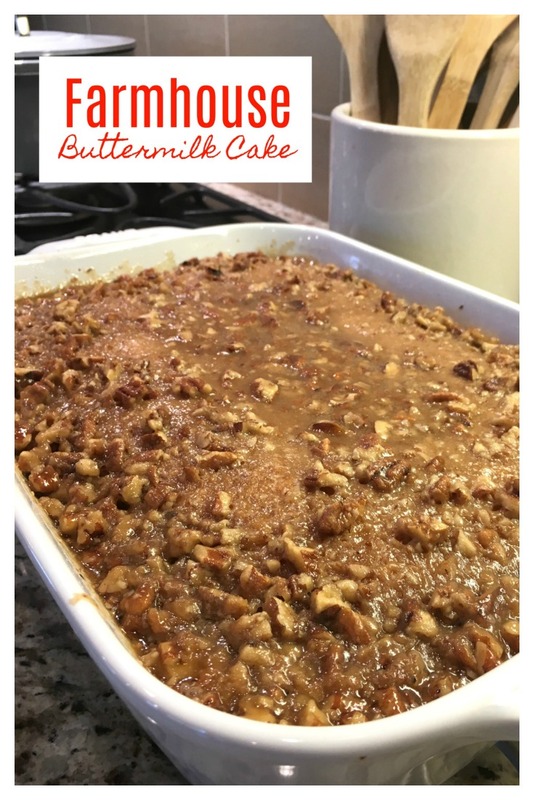 The recipe calls for 2 cups of buttermilk and 2 cups of light brown sugar in the cake batter with a sweet pecan topping…how can it not be good?! To make this cake you will need buttermilk, light brown sugar, butter, eggs, vanilla extract, unbleached all-purpose flour, baking soda and salt. 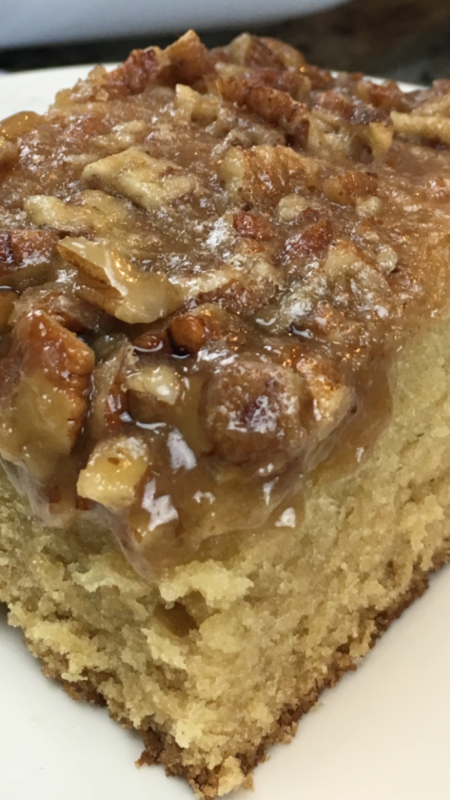 To make the topping you will need butter, light brown sugar, milk, salt and diced pecans. This cake can be served while it’s still warm and gooey (great with a scoop of vanilla bean ice cream), or wait for it to set and serve at room temperature. PLEASE NOTE: This is NOT a sponsored post, I have no affiliation with King Arthur Flour, I am just a fan of this awesome cake recipe. When I share a tried & true recipe, I always credit the source and often will send you to the site for the directions. All you need to do is click “Print Recipe” below and it will take you to the full recipe. One extra step for an awesome recipe, that’s it! It’s important to me to share the love and send you to the original source. For the directions and to print this fantastic cake recipe, please head over to King Arthur Flour. *I followed the recipe to a T without any changes.